In the history of people doing stupid things, even this one is a doozy. When a 28-year-old woman headed off to climb a mountain with only shorts and a selfie stick, the situation turned ugly. 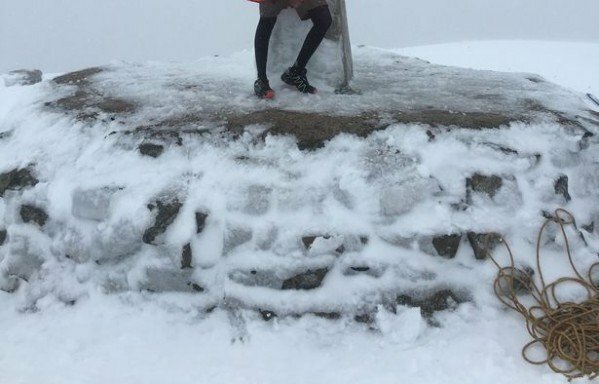 Sarah Albone was rescued by mountaineers this week from Ben Nevis, Britain’s highest peak, when a blizzard rolled in catching the foolish young climber in near white-out conditions and miserably unprepared. Two other climbers found her near the top of the 4,411-foot mountain, drenched and shivering and showing signs of hypothermia. Once on safe ground below, she graciously thanked her rescuers and acknowledged what she had done was incredibly dumb. “At no point did I really intend to get to the top…I wasn’t dressed appropriately and I reached the top more by accident then anything else,” she told The Mirror. She quickly found herself at the top in only shorts and leggings and equipped with not much more than a self-stick in her backpack. When the other climbers found her, they gave up their food and clothing to help keep her warm as the storm passed over. If it were not for their help, she would have likely passed out and possibly died. Just a few days earlier a young couple was discovered killed from a massive avalanche in the same region.